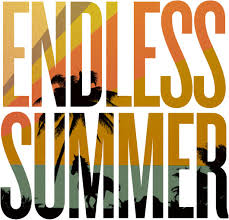 The title of the 1966 surf movie said it all: The Endless Summer. I fondly recall when summer was long and seemingly endless. When I was a boy, summer began with the end of the school year around Memorial Day and extended over three months, not ending until the day after Labor Day. Other than Vacation Bible School and a week at Boy Scout Camp, there was basically nothing on my agenda during the endless summers decades ago. My days were spent swimming in a nearby river or riding my bicycle anywhere I wanted to go. My nights were spent chasing lightening bugs or playing hide and go seek with the other kids in my neighborhood while the crickets chirped. But summers are no longer endless, even for our children. Even worse, they have a shortened summer. It no longer extends from Memorial Day to Labor Day. It’s over by August 1st! Now in the first week of August, our kids or grandkids are getting ready to go back to school in the next week or so. High school football teams across the state are about to kickoff in the heat and humidity, with some of them playing a third of their schedule even before Labor Day. Honey, they’ve shrunk our summer! Well, if I were Czar of the World, or even President Trump, I would bring back endless summer (“Make Summer Great Again!”). I would issue a decree that all schools should be out from Memorial Day until the Tuesday after Labor Day, and there would be no summer schools. I would further decree that high school football season would not start until the first Friday night of September. I would further decree that summer vacations be mandatory, not optional, and I would ban all “working vacations.” I frankly think “working vacations” is one of the greatest oxymorons of our time, ranking right along side jumbo shrimp and preliminary conclusion. But I’m not Czar of the World. I’m just a lawyer practicing in my air-conditioned office. But tonight, I’m going to go home and take my beagles, Atticus and Scout, on a walk through the neighborhood. We will be accompanied by a symphony of crickets, and I hope our walk will be illuminated by a few lightening bugs. In short, I’m going to enjoy the summer night, and I’m going to resolve that I’m going to keep enjoying summer nights as well as summer days until Tuesday, September 4, the day that summer should actually come to an end and football season begin. Peggy McClure: How can I post this on FB?! It’s one of your best columns for sure!! And then there’s September 3, the END of wearing searsuckwr suits and white bucks!!?! You need to be our national czar!! Jack Hood: I agree with your take on summers that many of us feel are lost.